Seat Ibiza Boot Space, Size, Seats | What Car? Even if you’re well over six feet tall, you won't feel your hair brushing the ceiling, and the seats slide back far enough to accommodate anyone long in the leg. Shoulder room is also better than in most small cars, making the Ibiza feel as roomy as many vehicles from the class above. The front door pockets aren’t the biggest, but there’s a small cubby in front of the gearlever to stash your phone or keys, along with a decent-sized glovebox. Add the reasonably priced storage pack and you'll also get handy storage drawers under the front seats. 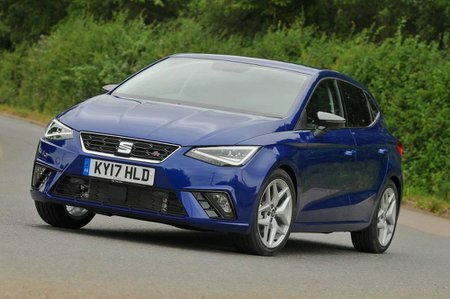 Yes, the Ibiza is a small car in the grand scheme of things, but you might be surprised by how spacious it is in the back – especially considering Seat’s history of prioritising chiselled looks over practicality. There's considerably more leg room than you'll find in the back of a Ford Fiesta or Skoda Fabia, for example. The only cars in the class that offer more are the Volkswagen Polo and the MPV-shaped Honda Jazz. The Ibiza also has plenty of head room to cater for six-footers. As with all cars in this class, squeezing three adults in the back makes life a bit uncomfortable for everyone involved. It’s perfectly doable if the journey isn’t too long, though, and the fact that the Ibiza is broader than most small cars means there's less of a fight for shoulder room. You’ll have to go for FR trim or above to get a height-adjustable front passenger seat, while adjustable lumbar support isn’t available (even as an option) for either seat at the front. Rear seats with a 60/40 split-folding configuration are standard on SE trim and above. The seats do fold on the entry-level trim, but they do so in one big clumsy piece. 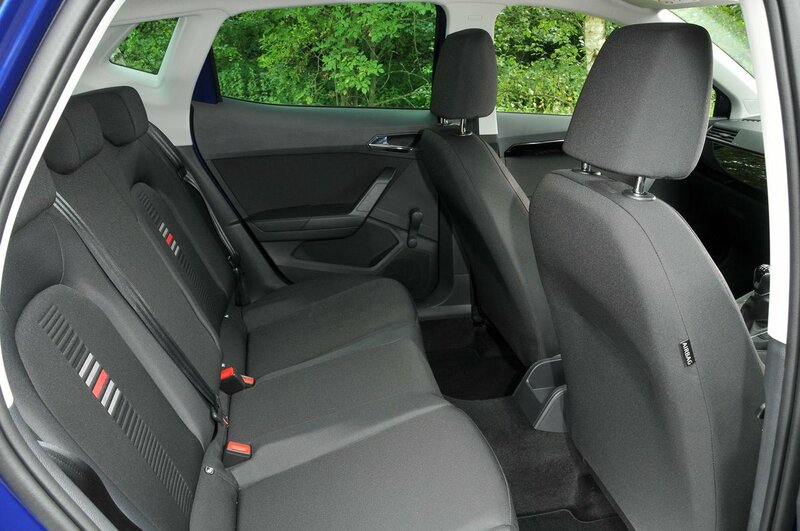 Put simply, the Ibiza is on a par in terms of seating flexibility in the small car class, and no better. 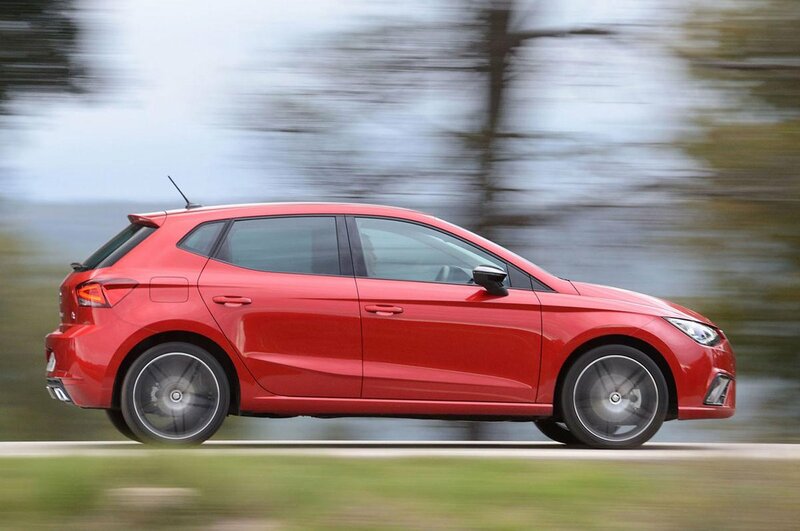 Seat claims the new Ibiza has a bigger boot than a Ford Focus, and while that seems a bit optimistic to us, there’s more room for luggage than you'll find in nearly every small car rival – including the Fiesta and even the Polo. The Jazz does have a slightly larger boot, but only by a fraction. A couple of big suitcases or a small buggy will fit quite easily and we managed to squeeze in five carry-on suitcases without removing the parcel shelf or folding down the rear seats. A false boot floor is a reasonably priced option on all trim levels. It’s well worth coughing up for because it significantly reduces the lip at the boot entrance and means there’s no step in the floor of the extended load bay when you've folded down the rear seats. The false floor comes as part of a package that also brings some boot nets and storage drawers under the front seats.